Hot topic is a mall and web-based retail store that sells different concert apparel from classic to current rockers. The company is also involved in licensed video game and other counterculture-related accessories. Orv Madden formed Hot Topic in 1989. It started as a teen accessory store that specialized in music-inspired products. The company soon expanded through the years and is now involved in other pop culture merchandise and apparels. In 2015, Forbes recognized the company as one of America’s Best Employers. Over 5000 employees worked at this company and there are more than 600 stores across US and Canada. The company offers a competitive benefits package for its employees. This package includes 401k retirement plan, insurance for dental, medical, and vision, as well as paid time off. Employees can also enjoy store discounts and other employee-only sales. The work environment of the company is collaborative and friendly. There is constant music in the place so the energy is high in every store. Every facility is also temperature controlled for the comfort of employees and customers. The minimum age requirement for employees at Hot Topic is 16 years old. Anyone above that age can qualify for vacant positions in the company. The company offers several job opportunities for career professionals and entry-level applicants. There are suitable positions available for individuals interested in music and fashion trends. Distribution Center Associate: The Distribution Center Associate is responsible for preparing and packaging orders for shipment. They stock new merchandise, monitor the production supplies, and input important data into PTL. They identify changes and communicate with the management regarding any issues in the production. They also ensure the accuracy of retail orders and handle shipments from one workstation to another. Maintenance Technician: The Maintenance Technician is responsible for the general and preventive maintenance of the MHE (Material-Handling Equipment) as well as the non-MHE in the distribution center. They perform scheduled maintenance and repair or replace any defective components in the facility. They communicate with the management regarding all maintenance concerns. They adhere to safety procedures and follow general work guidelines. Internet Fulfillment Associate: The Internet Fulfillment Associate is responsible for the correct and effective completion of ecommerce orders. They prepare and move orders for shipment as well as ensure the prompt delivery of all products. They monitor supplies and stock new products received. They also follow all written departmental practices and policies of the company. Team Lead Retail Fulfillment: The Team Lead Retail Fulfillment is responsible for leading associates to guarantee efficient and accurate operations in the distribution center. They make sure that everyone is following the best methods and conforms to the quality performance standards set by the company. They also conduct audits and ensure that all paperwork are complete and accurate. Systems Support Analyst: The Systems Support Analyst is responsible for coordinating systems and user applications needed for business operations. They offer recommendations to the management regarding possible process improvements. They are part of the Quality Assurance process and are involved in the explanation and management of test cases. They evaluate system design plans together with consultants, vendor, and internal team. Internet Fulfillment Supervisor: The Internet Fulfillment Supervisor is responsible for supervising the first shift of fulfillment center associates. They plan, help, and organize daily operational procedures to achieve efficient workflow. They conduct training programs for fulfillment associates and offer regular feedback to the team. They also ensure that all safety procedures and practices are observed in the workplace. Operations Manager: The Operations Manager is responsible for directing and leading departments in the Tennessee distribution center of the company. They implement budget control and communicate with other departments, DC associates, and clients. They evaluate procedures, prepare reports, and resolve operational problems within the distribution center. They also help create and implement different trainings for associates. Business Systems Analyst: The Business Systems Analyst is responsible for guiding and helping the user group on issues associated with the Loyalty System and CRM. They develop methodologies for the purpose of quality assurance. They identify and manage risks for projects as well as lead the analysis on user acceptance. Software Development Manager: The Software Development Manager is responsible for leading and writing clean codes for the Ecommerce space. They recommend solutions to lessen technical debt and create applications for different platforms. They use MS Project to develop schedules, budgets, and project plans. They install system-related procedures and document the design specifications of the company. Senior Business Systems Analyst: The Senior Business System Analyst is responsible for managing processes for business operations. They play an important role in expanding the ecommerce footprint of the company across different family brands. They develop test plans and lead in user acceptance testing. They also recommend system and software upgrades when necessary. 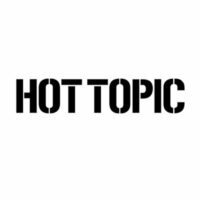 Available positions at Hot Topic are located on the career page of the company’s website. Interested applicants should submit an application form to the company. This form should include personal details, educational attainment, and previous work experience. Application can be done online or in person at any store outlets of the company. Online application includes the attachment of resume at the company’s website or application through LinkedIn. Clear and honest answers are preferred in the application form for possible employment. All provided information should also be complete and up to date. Skills related in sales and communication should be highlighted in the resume. Experience in fashion retail, customer service, or ecommerce can also serve as an advantage for jobseekers. The company prefers outgoing individuals so applicants should be engaging and cheerful during the interview. Familiarity with pop culture, bands, and comic books can also served as an edge in possible employment at the company. The company is a place that promotes and celebrates the culture of music and arts. The dedication to this culture is shown by the ambiance of each store and the character of every employee. In 2016, the band Green Day conducted a meet and greet with the fans at the Hot Topic Hollywood and Highland store. The company is also involved in numerous fan gatherings such as music events and comic conventions. The company is known for shirts printed with band titles and other counterculture related products. They are also popular for their Funko, accessories, and fashionable apparels based from hit TV series and comics. The company started Hot Topic Foundation in 2004. This foundation supports and gives financial assistance to non-profit organizations involved in the creation of arts and music programs for young people. 1 How old do you have to be to work at Hot Topic?